National Master’s Track and Field Meet – success! For those of you who may know, I competed in the National Indoor Master’s Track and Field Meet this past weekend. I managed to pull in medals in both my events (pentathlon and 200m) in my age group, but keep in mind there were not a load of competitors in my events. Hopefully, next time there will be more. What was impressive was watching one runner fly around the 200m indoor track passing people younger than himself, finishing a 3km race in a blazing 9 minutes and 7 seconds. He was far ahead of the rest of the pack, some of whom I know to be strong runners. Also, watching a pole-vaulter jump ridiculously high, with the whole stadium clapping him on his approach. And I was also really impressed with the pentathlon high jumper who is going to World’s, and a guy who was wearing his boxing warm-up suit skipping as if he was dancing – amazing footwork. I know how hard skipping can be, so his efficiency was darn-right impressive. I am pleased to say that I competed with the Ottawa Master’s Athletic Club and our team came in third overall. A very proud team we should be, as this is a brand new team. If you are a Facebooker, I think there are photos on the Ottawa Masters Athletic Club FB site (and probably also the Ottawa Triathlon Club’s FB site, too). 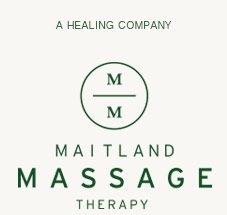 Copyright @2014 Maitland Massage / Melanie Ransom, Inc. All rights reserved.